New students complete an orientation to the Academy via Canvas, our Learning Management System (LMS). The orientation modules and assignments provide an overview of the Academy’s history and mission, as well as an introduction to our Learning Management System (Canvas), the Student Portal, the Academic Catalog, Programs of Study, Academic Integrity policies, Library Resources, and Academic Writing in APA style.  You will learn about the various resources that the Academy offers to support your success in your academic program and career in sport. In addition to our orientation for new students, each USSA student is required to complete our Student Services Orientation course annually. This brief orientation is an annual requirement by the U.S. Department of Education. The course modules cover the following areas: Drugs and Alcohol, Title IX, Career Management, and Financial Aid Literacy.